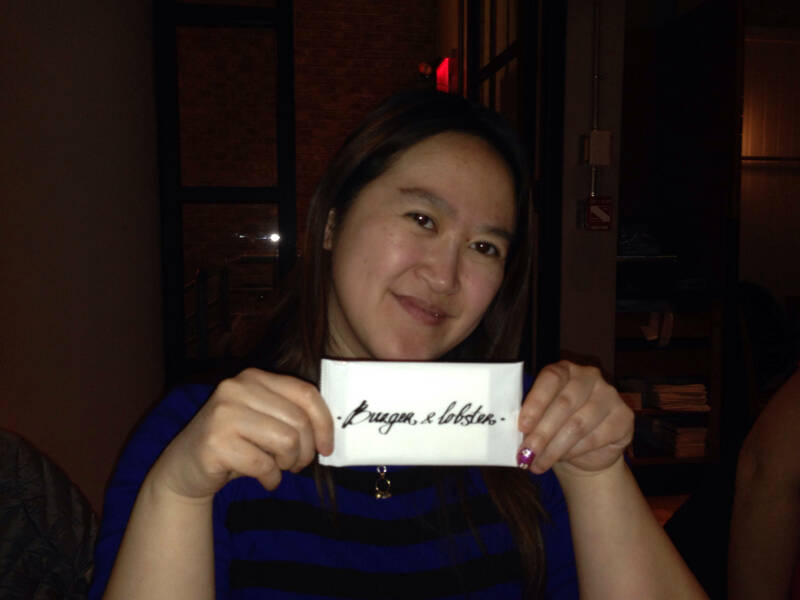 I had the pleasure of dining at a lovely new restaurant in the Flatiron District, called Burger & Lobster. The concept is so simple that they don’t even need a menu. 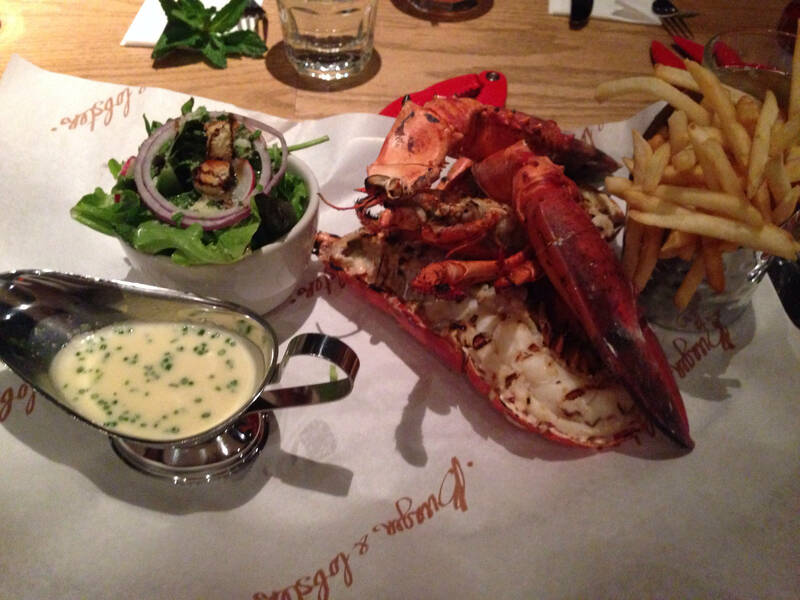 There are three choices: Burger, whole lobster or lobster roll. Each meal comes with both fries and salad. I chose the lobster because I haven’t had that in awhile and I figured that was probably the best deal. I decided to go with the grilled lobster option and was not disappointed. 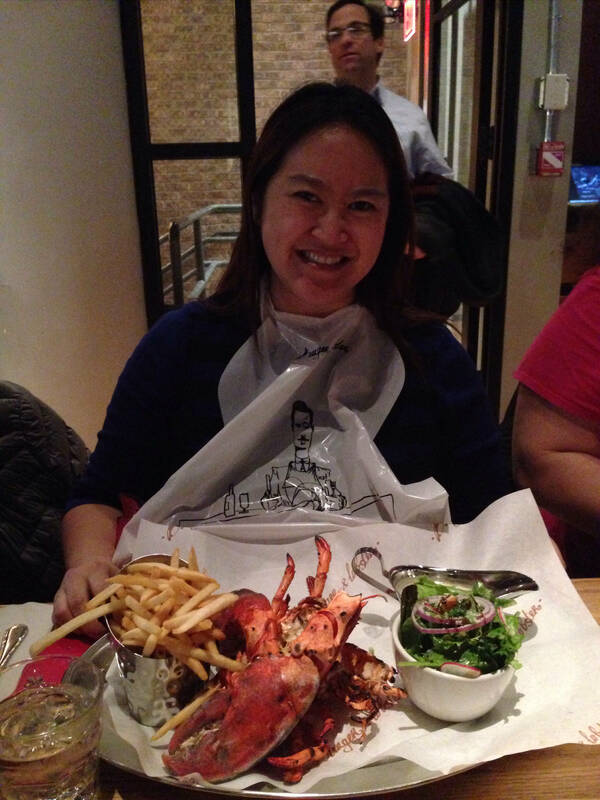 The lobster was a decent size and it came with lemon-garlic butter. Plus, it was pre-cracked so it made it a lot easier to enjoy. The lobster meat had a nice flavor to it and that lemon butter is life. The salad was mediocre to me but the fries were warm, crispy and delicious! 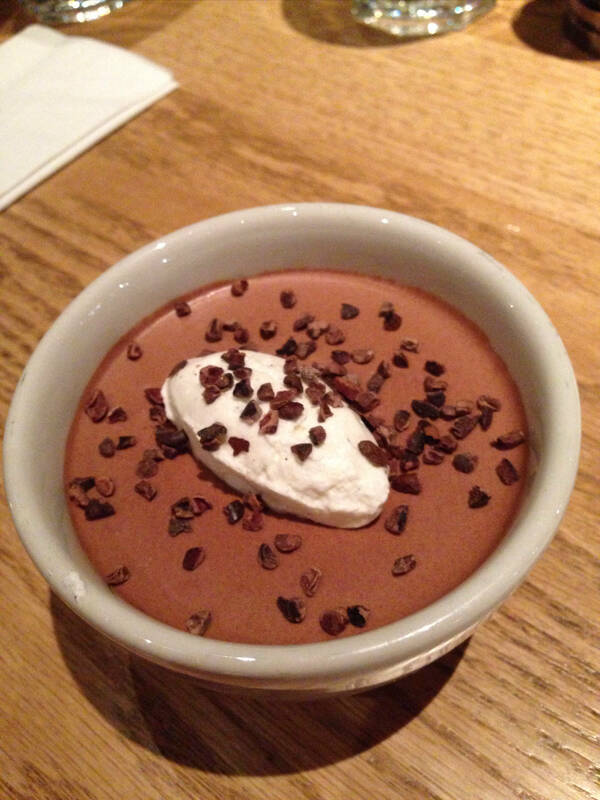 My friend ordered one of the desserts: Chocolate mousse and was kind enough to let me try some of it. Truly delectable flavor of sweet, rich, delightful chocolate with darker chocolate at the bottom. Even though I did not get to try the burger or lobster roll, I heard that the burger was quite good (and worth the $20), and the same for the lobster roll. I would definitely come back to try the burger! Tip: Try it soon, before it becomes completely crowded and difficult to get a table (they don’t take advance reservations).